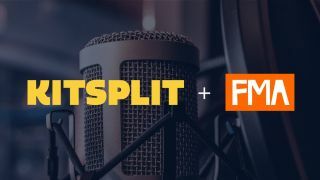 In a surprising move, camera rental company KitSplit has stepped in to rescue the struggling Free Music Archive (FMA), which had been scheduled to close last month due to lack of funds. The FMA launched in 2009 as a platform for musicians to share their work and make it available to download free with no subscription fees. It currently hosts over 128,000 tracks, which are available to download under a Creative Commons license. Musicians can use the site to network with their fans, and listeners can send 'tips' to support their favorite artists. The FMA was originally scheduled to close on November 9, but the date was pushed back to allow time for the site to be cached. The move into music is an interesting one for KickSplit, whose core focus is renting cameras and lenses, making high-end equipment available to creatives who might not be able to but it outright. "At KitSplit, our mission is to enable storytellers with accessible, affordable, and easy-to-use tools," said KitSplit. "Bringing FMA into the KitSplit family is a huge leap towards providing even more resources to the creative community." KitSplit isn't currently planning any changes to the Free Music Archive, instead intending to keep the site "up and running as it is."